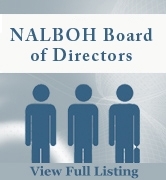 The National Association of Local Boards of Health (NALBOH) informs, guides, and is the national voice for boards of health. In today’s public health system, the leadership role of boards of health makes them an essential link between public health services and a healthy community. 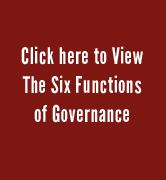 Uniquely positioned to deliver technical expertise in governance and leadership, board development, health priorities, and public health policy, NALBOH strives to strengthen good governance where public health begins—at the local level. NALBOH has been engaged in establishing a significant voice for local boards of health on matters of national public health policy. 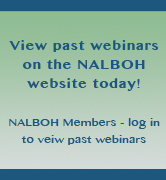 If you are involved with a local board of health, NALBOH is here to support you! 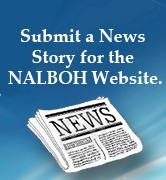 Do you have questions about the NALBOH website? Visit our Website FAQ page by clicking the button below for helpful tips about logging into your accounts, updating passwords and much more!